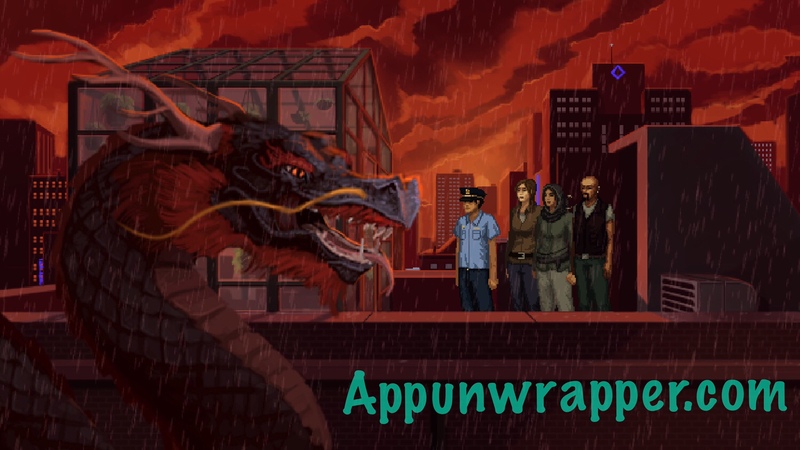 Unavowed is the latest point-and-click adventure from Wadjet Eye Games. Unfortunately, it’s not on iOS yet, but I decided to cover it anyway. This is the eighth part of my walkthrough guide and will take you through the seventh case at Canal Street in Chinatown. 1. You’re on the train. Melkhiresa is in control but you can still try to get your friends’ attention. Try to talk to Logan. KayKay will kind of hear you. Tell her to tell Logan that you’re possessed again. Melkhiresa will knock everyone out and you disappear. 2. You’re running and you can’t stop. Eventually, Eli will show up and stop you. 3. It’s another flashback! You’re at Under the Bricks again, 1 year and 1 week ago. Talk to Serena. And then head inside and talk to Morey. Do the same things you do in your origin and then watch what happens. 4. You wake up in headquarters again. Now you play as Melkhiresa. I assume you’re following the story and that makes sense to you. Head down and talk to everyone. They’re all waiting for you by the fireplace. 5. When you’re done talking, get on the train. Choose two of them to go with you. I chose Vicki and Mandana. Get off at Canal Street in Chinatown. 6. Go up the street to the Dragon Tree restaurant for another vision. It’s short, though, and the restaurant is closed. Have Mandana climb up the right dragon to get a lottery ticket from the lantern. 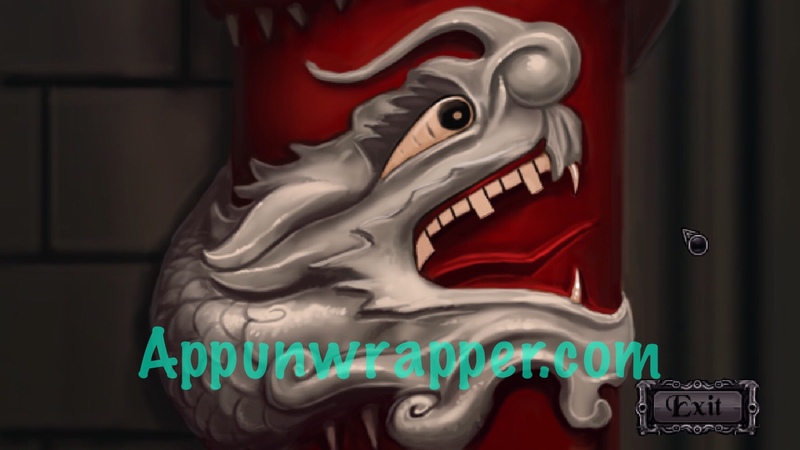 You can also zoom in on the dragon heads and pull their teeth, but we don’t have the clue for that yet. 7. Head left and enter The Tombs, the nickname for the Manhattan Detention Complex. Talk to the guard. She recognizes Vicki. Ask her about the incident at the Dragon Tree. The couple that runs the place was shot to death by a kid. But as far as the cops are concerned, the case is closed. The guard won’t tell you any more or let you into the prison, so leave for now. 8. Head right to the Smiling Fruit Grocery. Chat with Doug Wang and ask him about the Dragon Tree shooting. The official police report was that Kevin Huang killed his parents, but Doug doesn’t believe it. Show him the ticket you found. He scans it and says Kevin Huang bought it! 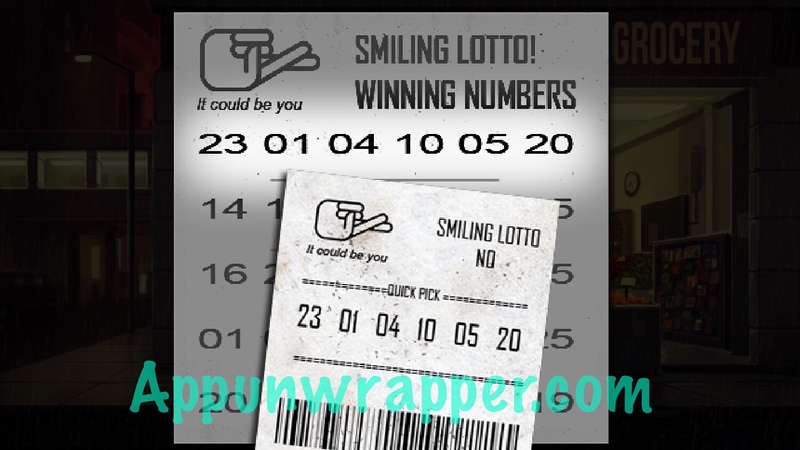 If you then compare the lottery ticket you found with the winning lotto numbers on the wall, the top one matches your ticket! But you can’t cash it in. Talk to Doug again. He agrees it doesn’t make sense that he bought a winning lottery ticket and then killed his parents. 9. Head right to an open restaurant. 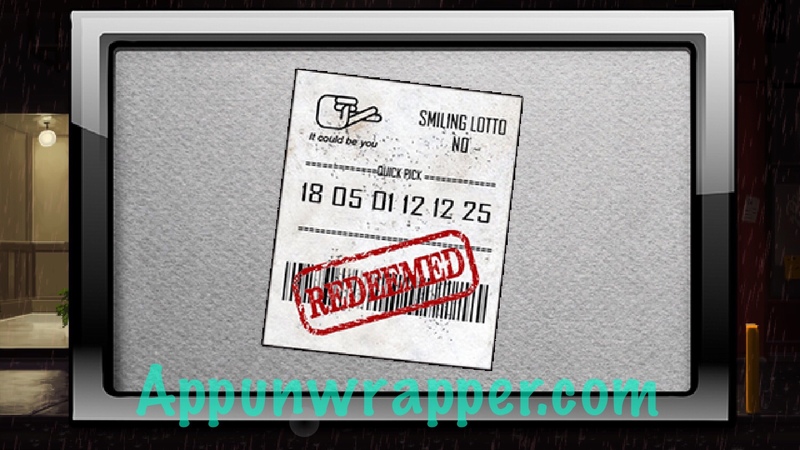 Look at the framed Smiling Lotto ticket. It might be different each game, but my numbers are 18 05 01 12 12 25. 10. Talk the Wing, the cook, and exhaust all options. She tells you she won the lottery ten years ago. Then talk to the customer. He recognizes Vicki. He’s Detective Sam Durkin. Get as much info out of him as you can. The Dragon Tree shooting wasn’t his case. He does know that Kevin is locked up in The Tomb, though. 11. Go back to the prison and ask the guard about Kevin. She says you need to be on an approved list to see him. You can either submit a request to be put on the list or get a ranking officer to vouch for you. Go back to detective Durkins and ask him to give you authorization. He says he won’t do it unless you can give him a good reason. So tell him Kevin won the lottery. It’s new evidence. Keep talking to him and he says he’ll call the Tombs to let you talk to Kevin. “The jade dragon prays five times, eats six fish, and waters two fields. 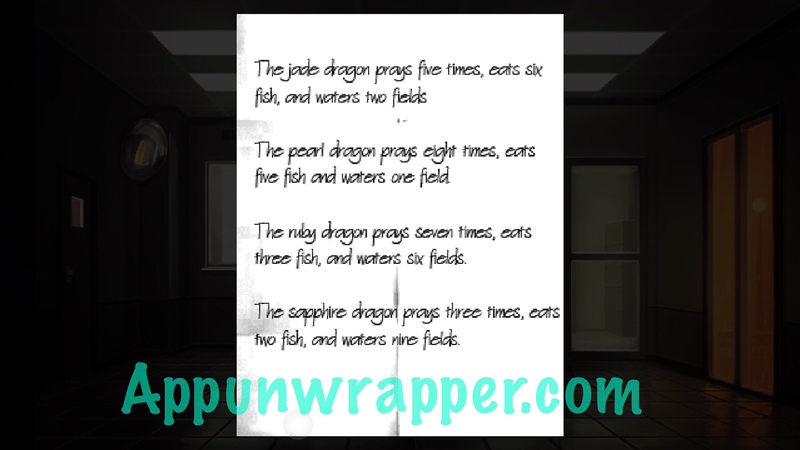 The pearl dragon prays eight times, eats five fish and waters one field. The ruby dragon prays seven times, eats three fish, and waters six fields. 13. 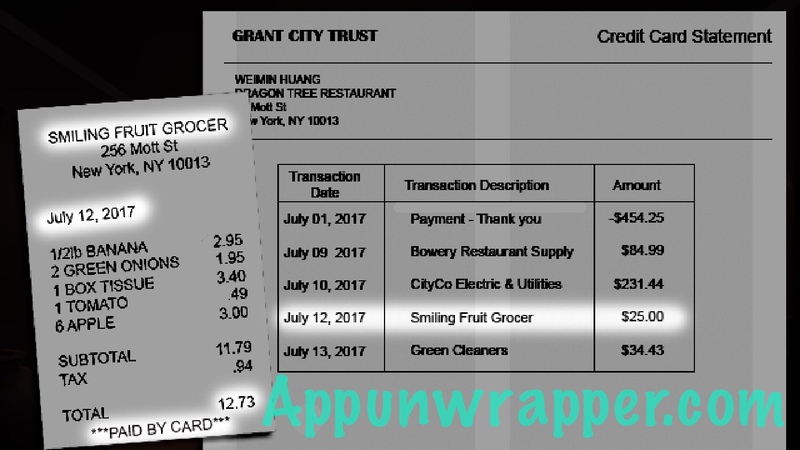 There’s also a receipt from Smiling Fruit Grocer. Leave the prison. Head back to the Dragon Tree. Use the poem to figure out which teeth to pull. For the white dragon, pull numbers 8, 5 and 1. For the green dragon, pull numbers 5, 6 and 2. The order doesn’t matter, so don’t worry about that. The door should unlock after both are set. 14. Head inside. Pick up the empty teacup and then head through the double doors to the kitchen. Pick up the spoon of ribbon. Fill the teacup with water from the tea kettle. The gas is off, so it’s cold. Head through the door to the right to go upstairs. 15. You’re in the Huang family’s residence. There’s a big book of myths and legends on the table but you can’t think of anything to look up at the moment. Look at the financial statement on the bulletin board. Compare the receipt to it. The amount spent at at the grocer don’t match! Kevin must have bought something else there. 16. Go through the door to the bedroom. Get the note from the small set of drawers. It’s to Kevin from his dad. He tells him to get an herb from Doug and make a tea so he can sleep. And that once the winners are announced he has to PUT HER BACK. 17. There’s a balcony through the door here but nothing to do there yet. Leave the bedroom and go upstairs to the greenhouse. Head inside. There’s a banana tree?! Open the window and read the note on the wall. 2006 WING LU is highlighted. Maybe it’s a list of lottery winners? Leave the greenhouse. 18. Head back to Wing and ask her more questions. Turns out Weimin Huang offered to help her when her husband died and left her a ton of debt she couldn’t pay. She mentions the Ba Jiao Gui but won’t say more about it. Go back to Doug and ask him about the receipt. Ask him if he sold Kevin an herb. He denies it at first but admits it if you press him. He says it’s Hibiscus Rue, a sleeping aid and offers to sell you two doses. Take it. He also says the Ba Jiao Gui is a banana ghost and that Kevin believed in it. 19. You need hot water for the tea. Go back to Wing and ask her for some and then mix the herb into the cup of hot water. 20. Go back to the Huangs’ place and look up the Ba Jiao Gui in the giant book of myths. It explains what a banana ghost is. It’s a female spirit that lives in banana trees. 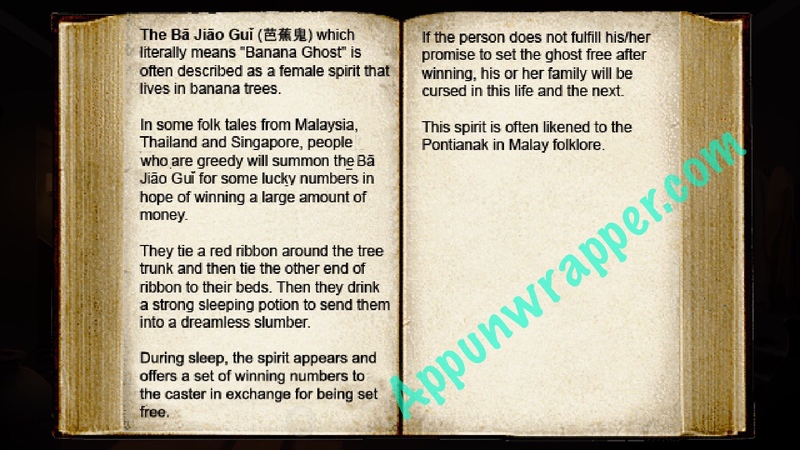 In some folk tales from Malaysia, greedy folks will summon the ghost for some lucky lottery numbers. They tie a red ribbon around the tree trunk and then tie the other end of the ribbon to their beds. They then drink a strong sleeping potion to send them into a dreamless slumber. The ghost visits them in their dream and offers the winning numbers in exchange for being set free. If the person does not set the ghost free, his or her family will be cursed in this life and the next. The spirit is often likened to the Pontianak in Malay folklore. 21. Go back to the greenhouse and tie the ribbon to the banana tree. Then pick up the other end and throw it out the window. Leave the greenhouse and pick up the spool of ribbon again. Throw it down to the balcony below. Then head down to the bedroom again and pick up the spool. Tie the ribbon to the bed. 22. Now you’re ready to go to sleep. Interact with the bed and Mandana will ask if you’re ready. Drink the tea and go to sleep. Everything is red. Head to the balcony to meet the dragon! It turns out Kevin Huang summoned her and is the only one who can send her back. Finish talking to her and then try to leave. You can’t! You’re in the land of the dead and he door is closed. But don’t worry, someone will save you. 23. It’s KayKay! Chat with her and then use her to pull you through the door to the hallway. Logan and Mandana are there but they look like ghosts to you. Head downstairs. Touch the glowing pot and it will bring you back to the land of the living. Touching it again will send you back to the land of the dead. Shiny objects send you back and forth. Go back to the land of the living. 24. The door to the bedroom is still locked but we can now work on getting Kevin out of prison. Head back to the Tomb and touch the mirror to go back to the land of the dead. Have KayKay help you through the next door. 25. Head left past the bathrooms. Have KayKay help you through to the janitor’s closet. Tap the bucket to return to the land of the living. Take the lubricant and the rag and then tap the bucket again. Have KayKay help you leave. 26. Head left past the cells to Kevin’s cell. Have KayKay help you get inside the cell and then touch the mirror scare Kevin. You can now talk to him. You’re gonna break him out. Find out what he knows first. Then tell him to distract the guard after you leave. 27. Touch the mirror and have KayKay help you out of the cell. Kevin will distract the guard. Head back to the janitor’s closet and touch the bucket to come back to the land of the living. Leave the janitor’s closet and add the rest of the sleeping herb to the guard’s coffee mug. Then go back to the janitor’s closet. He’ll fall asleep and you can go out and get the key and hat that fell off him. 28. Use the key to free Kevin from the cell. We still need a full disguise for him, and Leland’s is too big. Go back to the women’s bathroom. Go inside and use the bottle of lubricant to oil the hinges on the squeaky locker. Then take the shirt. 29. Now we need to figure out how to get the pair of pants in the men’s bathroom while the cop is guarding them. Turn on the faucet and then stuff the rag in the sink to flood it. He’ll leave and you can take his pants. 30. Head back to Kevin and give him the shirt, pants and hat. Now he can leave! But you still need to be a ghost to leave. Go back to either bathroom and touch the mirror to turn into a ghost again. Have KayKay help you leave the prison. The power wore off and you can’t see her anymore. 31. Head back to the Dragon Tree restaurant. Mandana and Kevin are waiting for you. Head up to the roof to meet the dragon again. 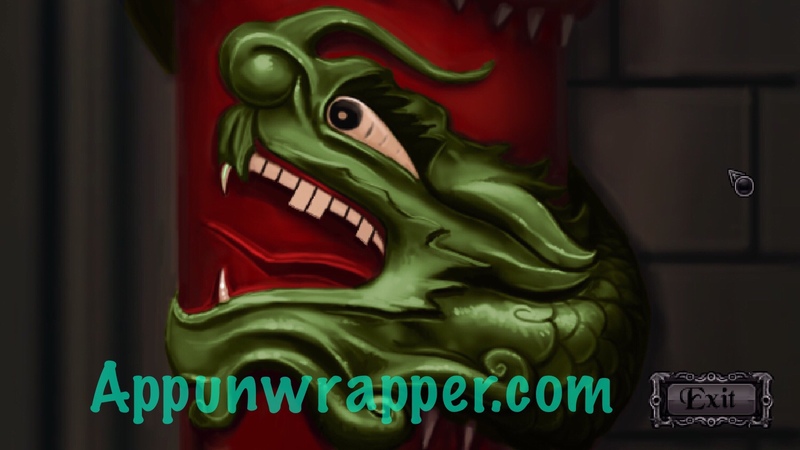 Now you have to decide whether to risk the dragon’s life to get Kevin a million dollar lottery ticket. I said no way because dragons are too awesome. And that’s the end of the case!